BlogHome » Blog » Doubles Pole: How to Be the Best Pole Partner! Doubles Pole: How to Be the Best Pole Partner! My first experience doing doubles pole was not a good one. I was looking for a new challenge and decided to sign up for a doubles pole competition with a fellow pole dancer. I could easily support her body weight, so I naively thought that basing would be a piece of cake. Needless to say, I was very wrong and ultimately ended up competing solo. I didn’t give up on doubles, however. I’ve learned a lot since then and now do doubles on pretty much any apparatus, but especially on pole and aerial hoop (as well as floor acro too). I’m usually a base (at least in the air), but I fly sometimes too. I have a couple of partners now that I trust enough to perform doubles with. I’d like to share some advice that I’ve learned on my doubles journey. First, and most important, is communication. You know when you’re doing a trick and something’s not working so you just dismount or get out of it as quickly as possible? Well, when you’re working with another person you can’t just do that anymore! Your partner needs to know what you’re doing at all times so you can both safely dismount. If a trick doesn’t feel right, you need to tell your partner immediately and reset. Especially if you’re trying a new move, it’s important to check in with your partner frequently. If you’re starting to slip or can’t hold on any longer, at the very least yell “down” to your partner! When you’re onstage you can also communicate through eye contact or hand signals. I often tap my partner if I’m holding on to him/her and I’m ready to transition in or out of a move. Next, tricks will go wrong. Tricks don’t always work when you’re training solo, so why would they when you’re training doubles? With that in mind, when at some a point a trick doesn’t work out, it’s almost never one person’s fault. You’re a team. If something goes wrong, it’s the team’s mistake. Blaming one person is not going to help anything and certainly won’t encourage a strong, positive connection with your partner. With that being said, if something your partner is doing is not working for you, speak up. It’s important to have direct and open communication while also being considerate of your partner. Third, be aware of symmetry. You’ll need to video yourselves to see how well you’re doing with this. If the symmetry is off at all, it greatly affects the aesthetics of the trick. Also, if, for example, you’re both doing a split trick but one of you is more split-y than the other, then that person needs to hold back a little bit so your splits match. On a similar note, you should both be entering tricks at the same pace. Not only will this maintain the visual symmetry, but it’s also important for keeping both people balanced (at least if you’re on the same apparatus). It’s a good idea to start out with synchronized doubles first. 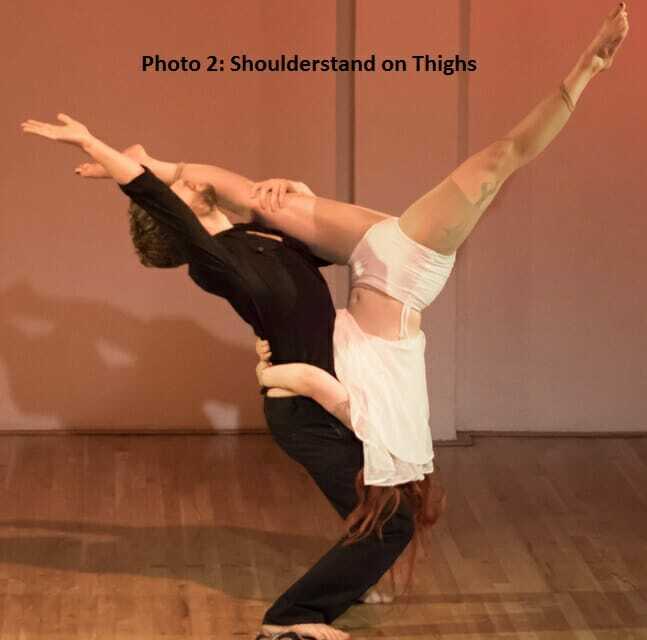 This is when both dancers create the same shape but neither one is supporting the other’s weight. Even if you’re doing flyer/base moves too, you’ll always want to include some beautiful synchronized tricks. Check out Photo 1 for some inspiration. These can be done on separate poles or on the same pole. 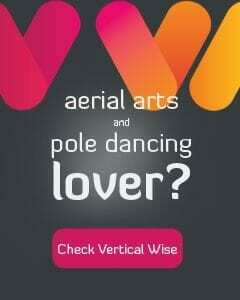 Keep in mind that if you’re doing the tricks on the same pole, you’ll have to be aware of where your partner is. Whoever is on top should have the most endurance in the trick to be performed. Tricks that are usually easy for you to get into may be much more challenging now that there’s another body in the way. For example, when I do a cross ankle layback with another person, if I’m on the bottom, I have to do a scissor climb with my hands above my partner’s hips in order to get close enough. Try it, it’s not as easy as you might think! basing on pole is harder than on any other apparatus for this reason. If you’re basing, make sure you know your limits. If your muscles are fatigued, stop. If your skin is raw, let your partner know and stop! On the other side, the “flyer” is the person whose weight is being all or partially supported by the base. Generally, the flyer will be the more flexible person on the team, or the person who can make big, beautiful shapes with his/her body. Flyers are the center of attention. One of my partners is a man with a good 50 lbs on me, but I like to base him just to change things up and surprise my audience. To be a good flyer, you must be trusting (sometimes flying is terrifying!) and you must be able to hold your form. A lightweight flyer who doesn’t know how to hold her form is much harder to base than a heavier person who can completely hollow out. You also have to remember that it’s not your responsibility to balance yourself, it’s your base’s responsibility. If you both are trying to balance you, it won’t work, trust me! Training handstands and a perfect hollow-body position is very useful for flyers. Also, be aware that your base is working HARD. Be realistic about your partner’s limits. If you’re getting tired, your base is probably a lot more tired. Finally, if you’re trying out a new trick, do your base a favor and don’t just suddenly give your base all of your weight. Test the waters first, check in with your base, and if you get the go-head, then slowly let go of all your weight. In order to really be a great team, you have to be synchronized. You have to know if you’re partner is ready to execute a move or not, and exactly when she’s going to do it. One thing that can help you sync up is to do partner conditioning exercises and partner stretches. Some of my favorites are the downward dog and bow, and partner wheelbarrow push up squats. Check out Lisette & Terri’s video for some inspiration. 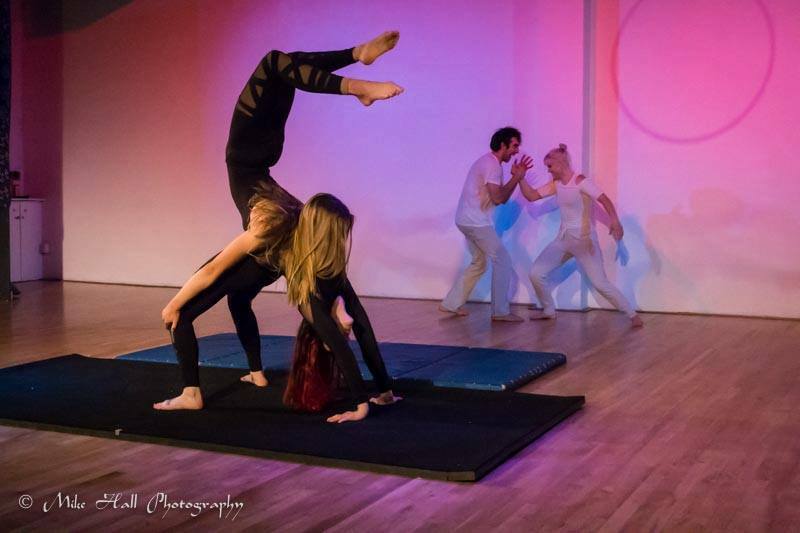 It’s also a good idea to work on some floor acrobatics together first. 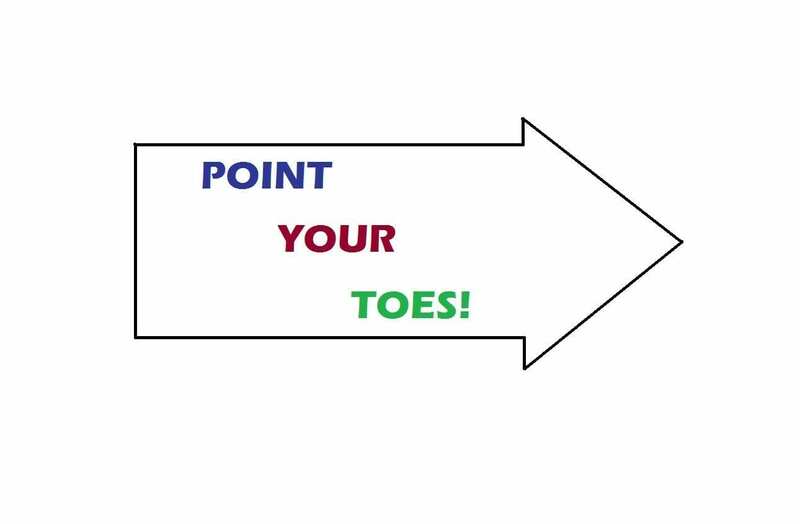 Not only will this give you a repertoire of floor tricks to use in your routine, but it will also help you sync up at the ground level instead of first doing flyer base tricks in the air. You can come up with your own tricks, but some of my favorites involve shouldstands or basing in a backbend. Photo 2 is a shoulderstand on my partner’s thighs. 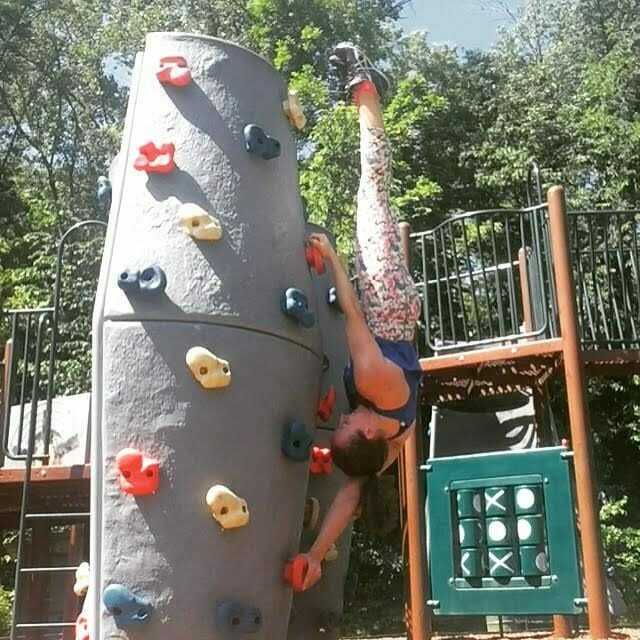 I’ve had someone do a chest stand, crocodile, and a handstand press on my backbend, all of which are very easy and fun for me. If you want to try out any of these tricks, make sure you are very comfortable in your backbend (can hold it for at least one minute), have your shoulders stacked over your hands, and find tricks such as walking in your back bend easy. 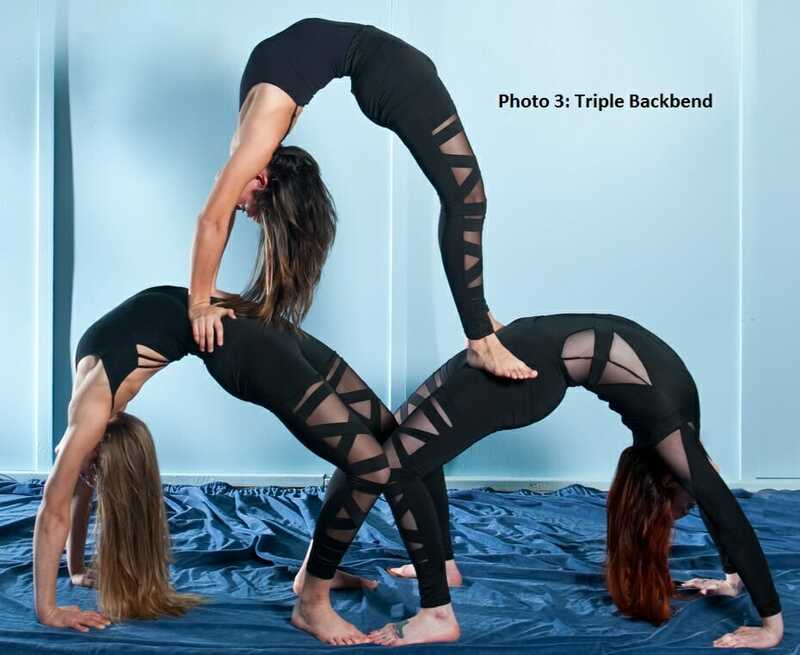 Check out Photo 3 for a triples backbend idea. I’d like to share one of my favorite doubles pole tricks. I call it the shoulder mount press out (Photo 4). Obviously, the base must have a solid shoulder mount and be comfortable holding it for at least 30 seconds. I recommend also training shoulder mount planches. The flyer must be able to support herself in a forearm grip and keep her body away from the pole. The first part of the trick requires the flyer to climb up high, and then get into the forearm grip pencil. Next, the base will shoulder mount and place her feet directly on the flyer’s hip bones and the push up engaging both the core and glutes. This can also be turned into a great conditioning exercise – see how many times you can push your partner up without putting your feet on the ground! Finally, the possibilities are endless with two bodies! I get inspiration from other disciplines all the time. Sometimes, I see beautiful shapes somewhere in nature or art and try to find a way to replicate them. Adding more dancers is fun too! Photo 5 is a shape created with 5 people! Let me know how it goes for you and share any beautiful shapes you find! Instructors: How to make it all about your students! What Happens When Your Routine Gets Messed Up?